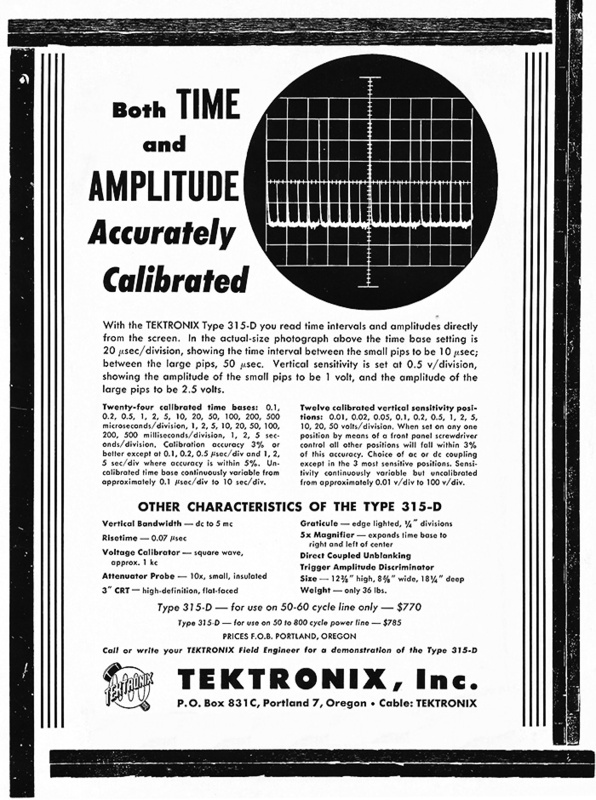 This ad for the 513D appeared in the January and April 1953 issue of The Review Of Scientific Instruments. 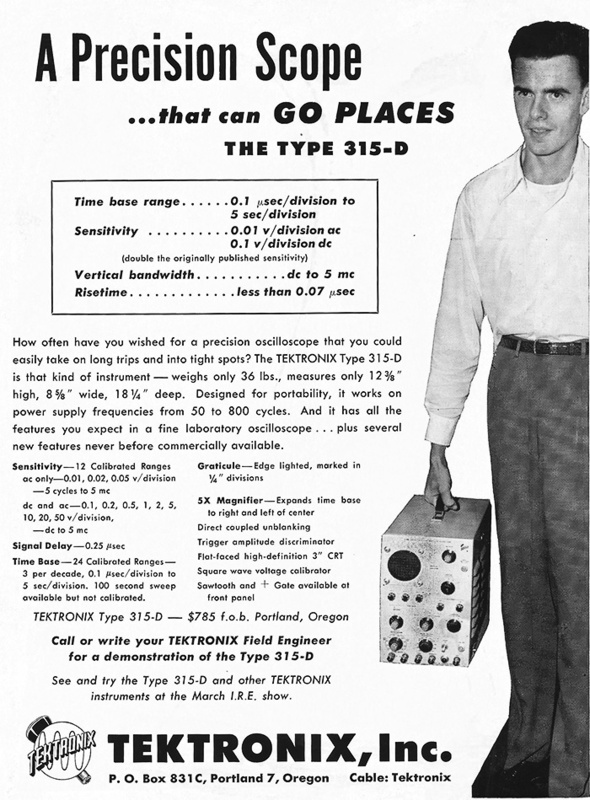 This ad for the 315D appeared in the February 1953 issue of The Review Of Scientific Instruments. 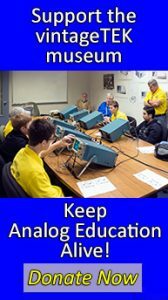 This ad for the 524D appeared in the July 15, 1953 and July 15, 1953 issues of NW Electronics World. 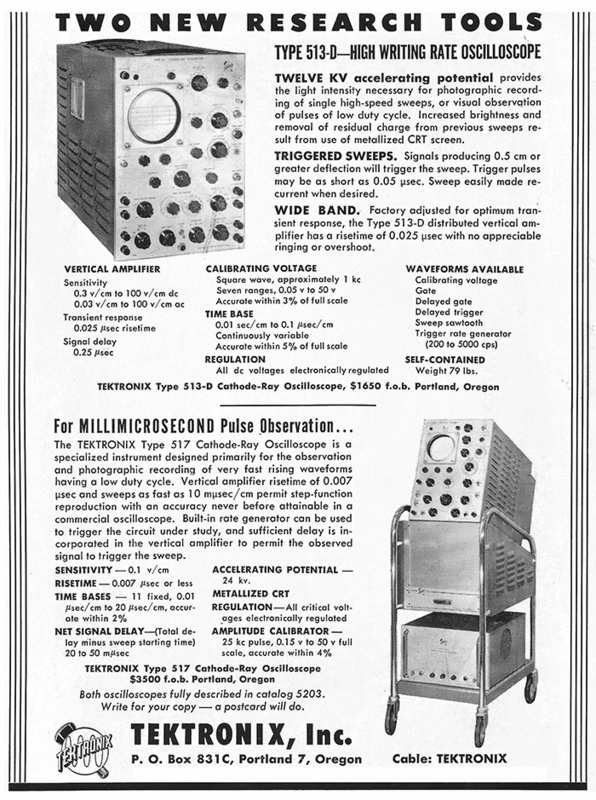 This ad for the 513D appeared in the March and June 1953 issue of The Review Of Scientific Instruments. This ad for the 513D appeared in the March 1953 issues of Proceedings of the IRE, The Review Of Scientific Instruments, and American Scientist. 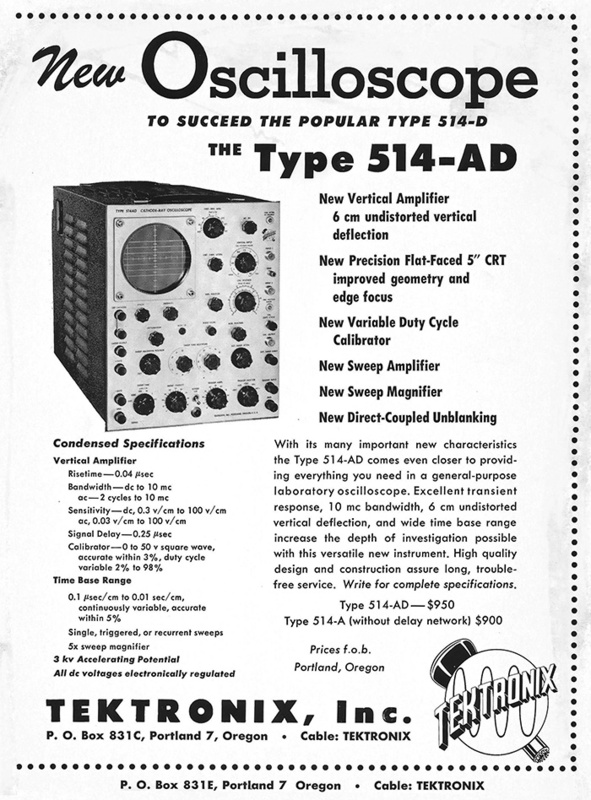 This ad for the 514AD appeared in the May, July, and September 1953 issues of The Review Of Scientific Instruments. This ad for the 524D appeared in the July 1953 issue of TV Factbook. 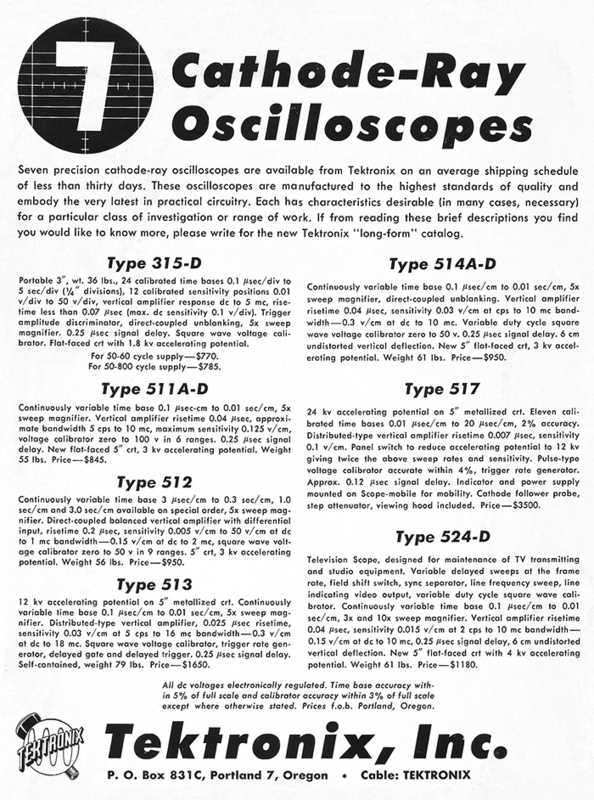 This ad for the 315D, 513D, and 524D appeared in the July 1953 issues of Electronics and Proceedings of the IRE. 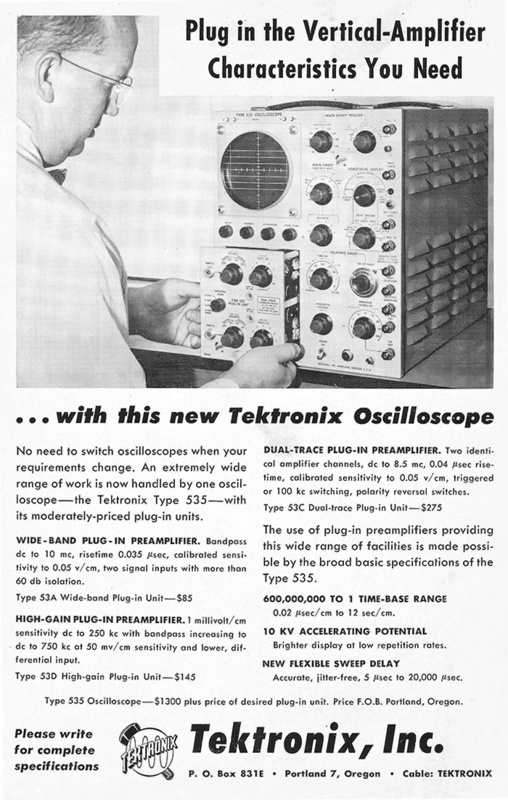 This ad for seven oscilloscopes appeared in the August 1953 issue of The Review Of Scientific Instruments. 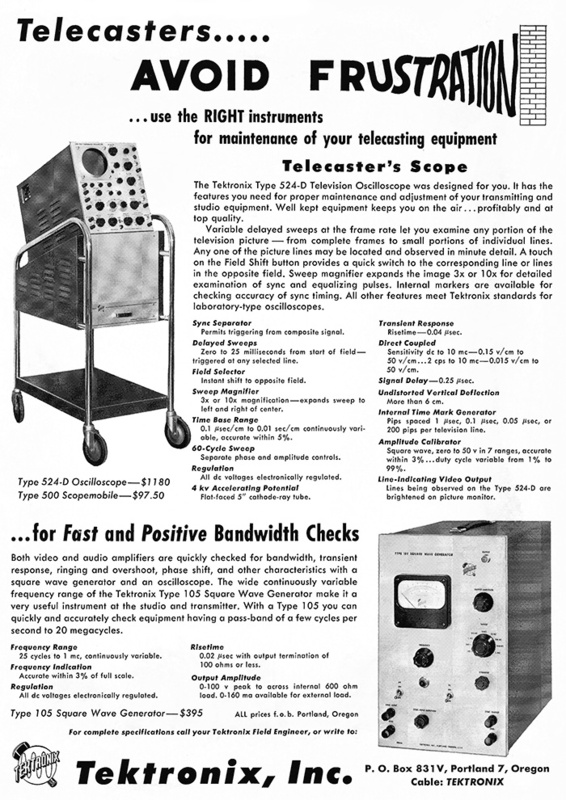 This ad for the 535 appeared in the October 1953 issues of Proceedings of the IRE and The Review Of Scientific Instruments. 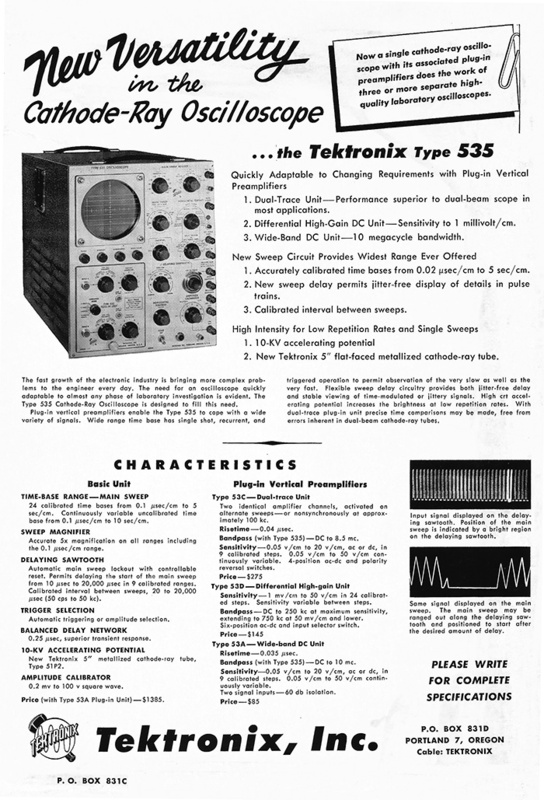 This ad for the 535 appeared in the November 15, 1953 issue of NW Electronics World. 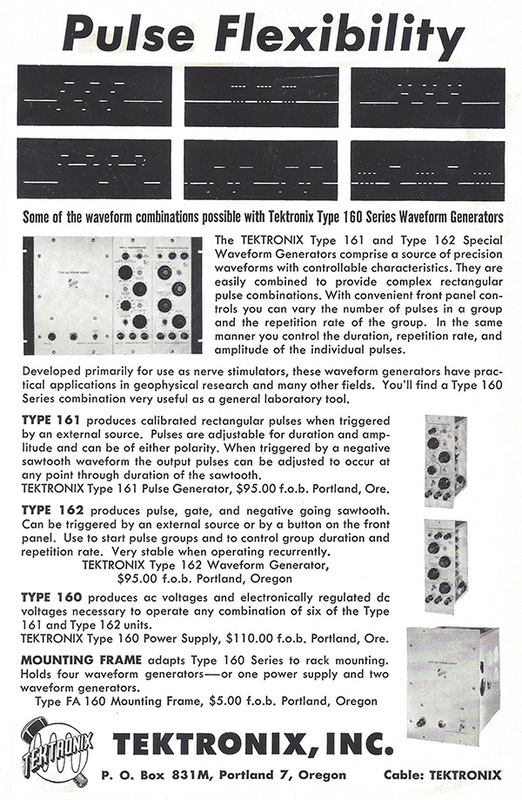 This ad for field updates to the 511A, 512, and 514 appeared in the December 15, 1953 issue of NW Electronics World and the December 1953 issues of Electronics, Proceedings of the IRE, and The Review Of Scientific Instruments. It also appeared in the January 1954 issue of Electronics. 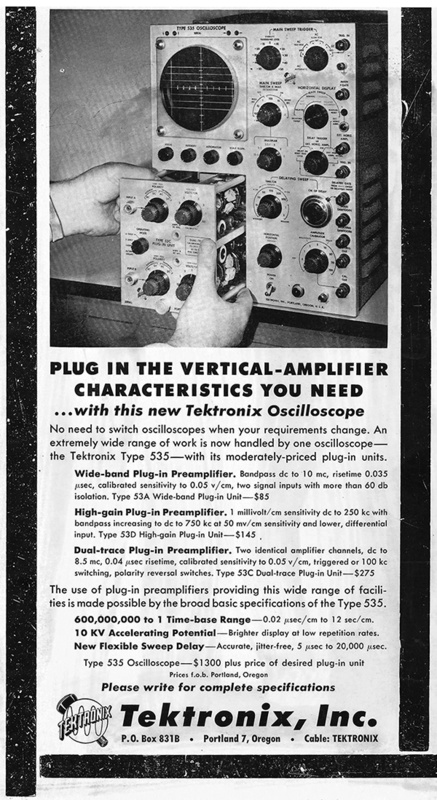 This ad for the 535 appeared in the December 1953 issue of Wireless Engineer and the Winter 1953 issue of American Scientist. This ad for the 160 series appeared in the Fall 1953 issue of American Scientist.